Yesterday evening at my weekly therapy session, I discovered that sometimes my to-do lists add more stress upon me than they alleviate it. I set my completely unpacked goal for two weeks and it's looking more like one month. What's my rush? What's my hurry? 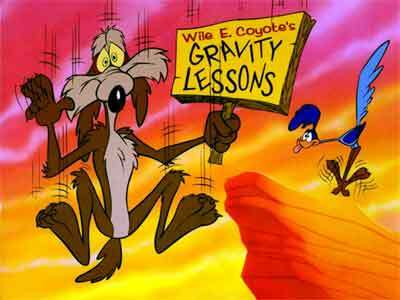 Then I started thinking about other things in my life and how I feel like time is the Road Runner and I'm the Coyote. If I put so much pressure on myself to get things done, do I commend myself for the things I complete? The truth is...not as much as I should. I need to pat myself on the back more and stop dwelling on how many more things I have to get done. I finally bought some new running shoes and that's been on my list for months! As soon as I bought them, my first thought was about what else I need to buy instead of commending myself for checking off a list item. I think appreciation and acceptance will be my themes for awhile. I need to appreciate the process of settling into our new home and spend time going through boxes full of history, memories and donation-worthy items. I also need to accept that time shouldn't be something I chase, but rather something I dwell in and savor (like an unagi roll with avocado). Anyone have their Halloween decorations up? This year, I want something spooky and cool at our place. freeing yourself and your time is the best you can do for you. I was like you, endless to do lists, coupled with my inability to say no and my perfectionism and the result was one: major anxiety. I stopped telling myself I had to do this or that, got away from ALL extra curriculum activities that were not for me but for others and voila. I feel much better. Sometimes no plan is the best plan!